The present generation of readers prefer the genre of short stories because it conveys intense messages like novellas to the readers but in lesser time; and like reading books on digital platforms. Publishing houses are also taking these changing reading habits and the preferred medium of the readers into account. 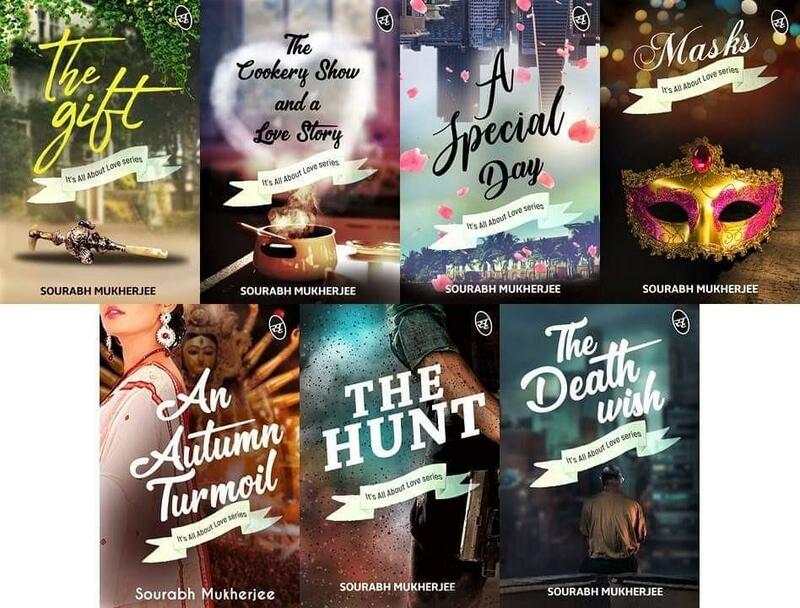 The author Sourabh Mukherjee comes up with one such book “It’s all about love”, which is a collection of seven short stories. This book was released using a unique strategy- each story was released on the digital platform as 7 different titles, one every week. The first one in the series is “The Gift”, in which the protagonist Aarav, after his break-up with his girlfriend Ishika, goes to his home in Mussoorie, where he finds his uncle’s diary, which chronicles a heart-warming love story unfolding in that house. “The Cookery Show and a Love story” is a romantic-comedy about true love, shown through Jay and his grandparents’ deliciously served, and powerful story. “A Special Day” describes about prioritizing love over success in life, with the heart-warming story of the protagonist Mike. “Masks” deals with the hidden face and the dark side of the real world. “An Autumn Turmoil” delves around the passionate autumn romance of the protagonists Shubho and Atrayee. This is a story in which the Bengali culture and the Durga Puja rituals become a protagonist in itself. “The Hunt” is an exceptional story, a thriller with unpredictable twists and turns. Everything from the narrative, climax and denouement of this story is gripping. “The Death Wish” is a story in which a man decides to end his life by jumping off the roof of one of the tallest skyscrapers in the city. Should he, or should he not? Is there something to change his mind at the last minute? This story is inspiring and it tells us that one shouldn’t get bogged down by life’s challenges. One should realize that the worst days are not the end, and take decisions which make you move towards growth and success. The stories included in the anthology are of different genres- some deal with intense love; some with profound emotions; some have dramatic overtones, and some have elements of suspense and horror- but all with an underlying theme of love. All the stories are engaging and heartfelt, and the characters are explored in the depth. The narrative has been executed deftly, and the language used is simple. Also, the book covers of each part of the series are very fascinating and apt in depicting the essence of the story. This is a compelling assortment of stories; with evocative themes, characters that are both intriguing and humane, and intense narratives at its core. This book will appeal to readers of contemporary fiction, and those who want to read riveting and breathtaking short stories.